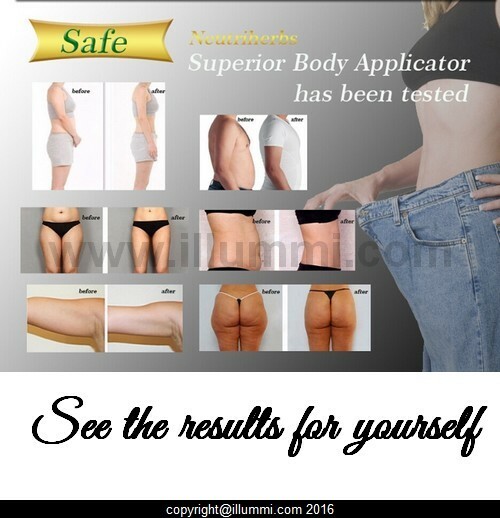 The Superior Herbal Body Applicator by Neutriherbs. Detoxify, tone, tighten and firm your skin in 45 minutes. Use on your stomach, breast, waist, legs, arms and hips. Use one every 72 hours. 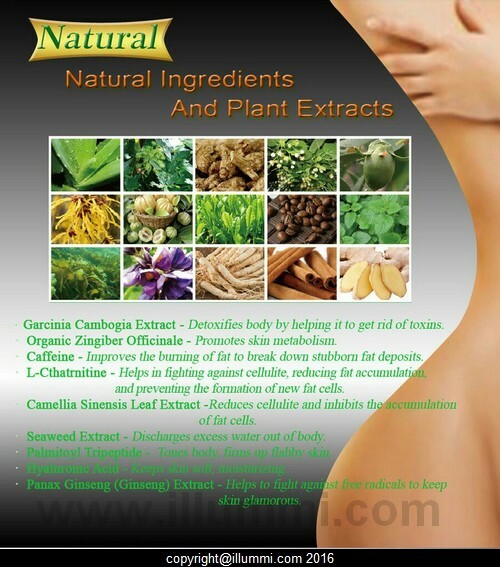 Full box includes 5 herbal infused body contouring cloths. 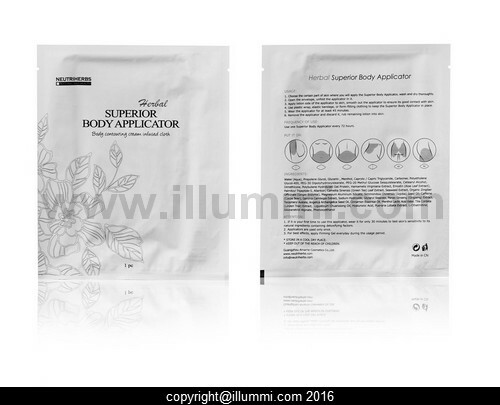 The Superior Body Applicator is a non-woven cloth wrap that has been infused with a powerful, botanically-based formula to deliver maximum tightening, toning, and firming results when applied to the skin. What are you waiting for… this is a must have! *Choose where you want to wrap, we recommend taking a hot shower first to help open your pores, if possible try not to use any soap. 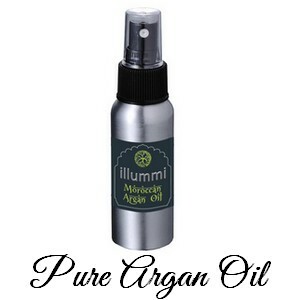 This will help the cream to absorb into your skin. Dry thoroughly. *Apply the cream side of your applicator to your skin and smooth it out, making sure your skin is fully covered. 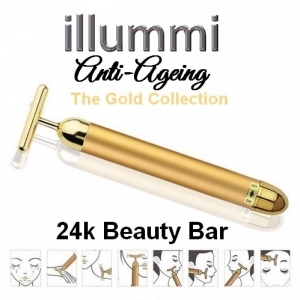 *Wear the Applicator for a MINIMUM of 45 minutes. 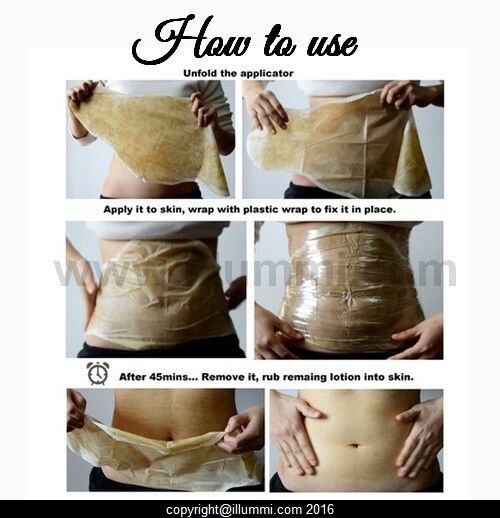 We however recommend for the ultimate result you should wear your wrap overnight. Drink lots of water whilst wearing your wrap and continue to do so over the next 72 hours. *If it is your first time using the wraps, wear it only for 30 minutes to test your skin’s sensitivity to its natural ingredients containing detoxifying factors. *Remove applicator and discard, massage the remaining lotion into skin, make sure you remove any extra lotion left on the wrap. Do not waste any of the lotion. (Applicators are only to be used once). *Don’t forget to take your measurements and before and after pictures. We highly recommend that after wrapping you should try and stay away from processed fatty food, Alcohol and anything sugary or high in salt. Do not exercise whilst wearing the wrap, or for atleast 8 hours after you have wrapped. Do not wrap when its your time of the month, mainly due to hormonal imbalances that could hinder inch loss. Most people do get results, if for some reason you did not notice a change then please read through our tips and make sure you are wrapping correctly, eating the right foods and drinking enough water. Always take before and after pictures. Organic Zingiber Officinale – Promotes skin metabolism. Caffeine – Improvesfat burning to break down stubborn fat deposits. L-Cthatrnitine – Helps in fighting against cellulite, reducing fat accumulation, and preventing the formation of new fat cells. Camellia Sinensis Leaf Extract – Reduces cellulite and inhibits the accumulation of fat cells. Seaweed Extract – Discharges excess water out of body. Palmitoyl Tripeptide- Tones body, firms up flabby skin. 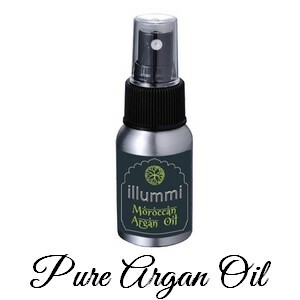 Hyaluronic Acid – Keeps skin soft, moisturizing. Panax Ginseng Extract – Helps to fight against free radicals to keep skin glamorous. 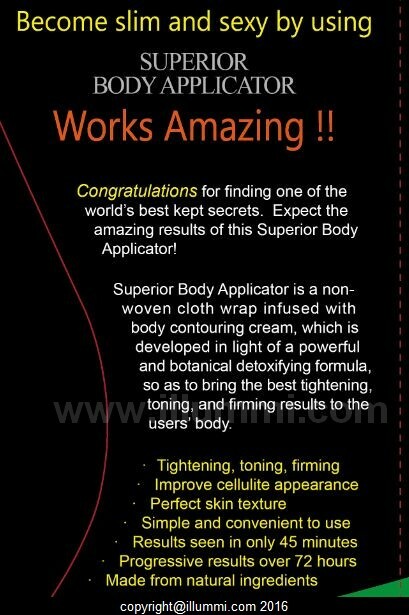 How many superior body applicator wraps can I use at one time? We recommend targeting one area at a time with the body applicator. Use one Applicator on that target area, unless you are targeting your legs or arms. You may then either use one applicator on each leg/arm, or cut one applicator in half and apply each half to your arm/leg. How often can I wrap? You can wrap every 72 hours. Then it is up to your discretion based on your personal goals. No. Each individual wrap can only be used once.